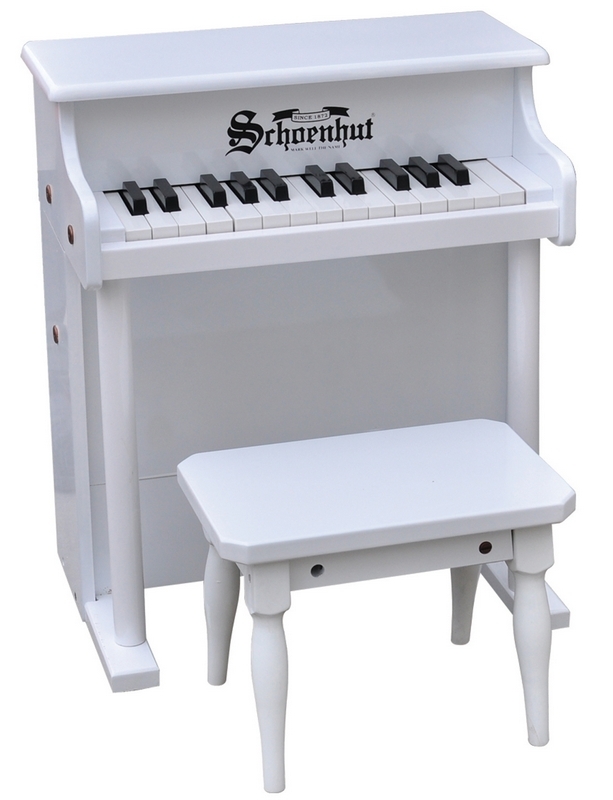 Schoenhut's Traditional Spinet kids piano is a musical instrument of highest quality, certain to enhance your child's love of music with its endearing melodic tones. Played at Carnegie Hall by internationally acclaimed concert pianist Margaret Leng Tan, Publicized in the New York Times, this is the only toy piano ever played at Carnegie Hall. Chromatically tuned, the lovely chime-like notes are produced by little hammers striking precision-ground, German steel music rods (versus the conventional taut wires used in full-sized models). 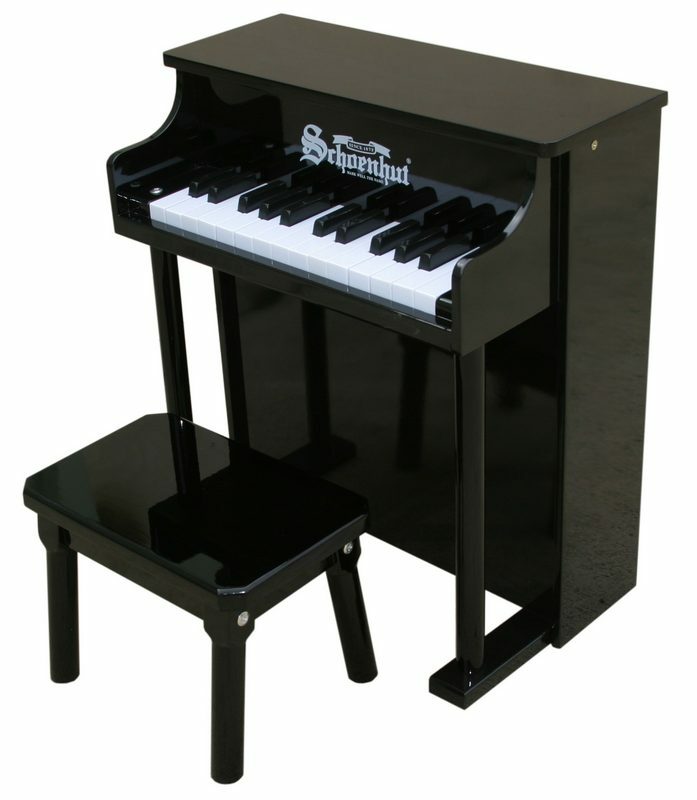 Schoenhut� toy pianos are specially designed for children and built to endure active play, they are appropriate for young and old alike. Unsurpassed in quality, pitch, and durability, each traditional model is still crafted entirely by hand and individually tuned. 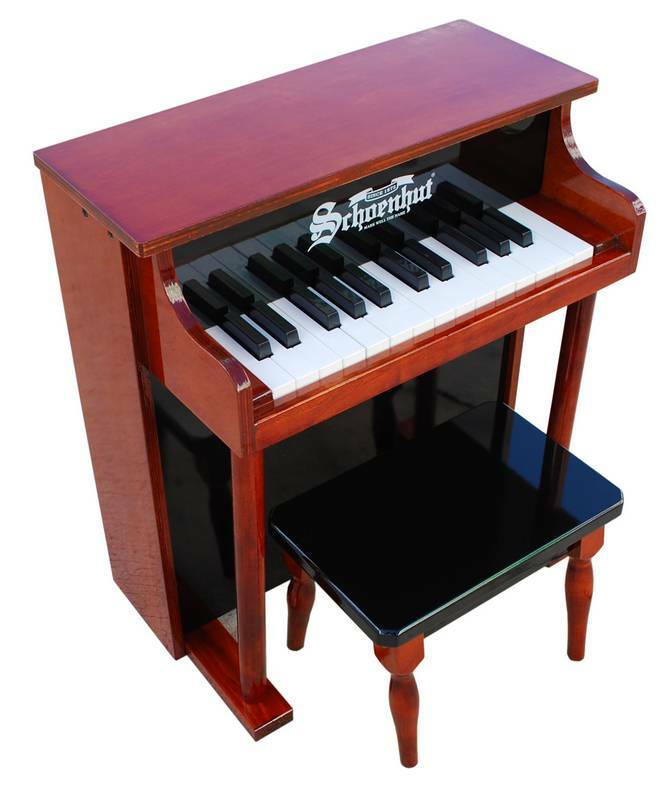 Schoenhut's� patented Learning System, with its play-by-color teaching method, makes playing simple and fun. A removable color strip fits behind the keys to guide small fingers from chord to chord. The chart also works on adult keyboards, since keys on Schoenhut� toy pianos are of corresponding width. This teaches children proper "finger stretch" from the very beginning. The accompanying Songbook contains a collection of familiar tunes. This Learning System has been specially designed to build a child's confidence and develop basic playing skills. 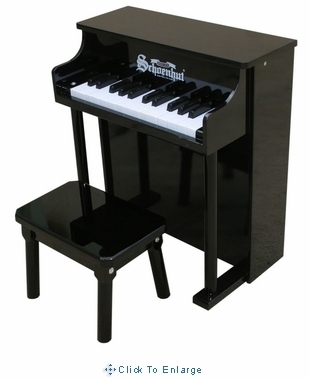 Piano Dimensions: 19-3/4 high x 17" wide x 10-1/4" deep Bench: 9-1/4 high x 10" wide x 6" deep Weight: 17 lbs. 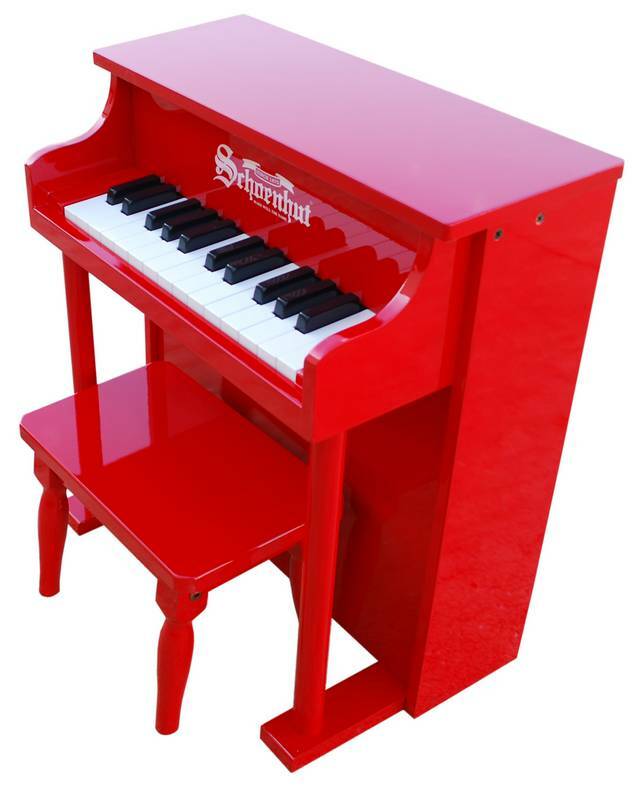 Free songbook Schoenhut�s� Patented Learning System - Play by Color with purchase of any toy piano model! Shipping: This item will ship from St. Augustine, FL via UPS ( large items are shipped via truck) within 2-3 business days, depending on where you ship to, please add another 2-6 business days for delivery . If you need express shipping service, please contact us for a shipping quote.